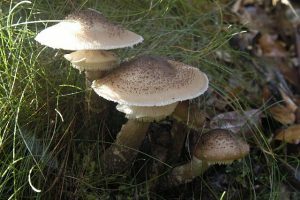 Scientists discovered the fungus in the Blue Mountains in eastern Oregon, USA, where it might have been growing for more than 2000 years to cover an area of 3.4 square miles (8.8 square km). Other than the fruiting bodies at the surface suggest, the majority of the fungus is in fact underground – as mycelium. But then how did the scientists actually measure it? 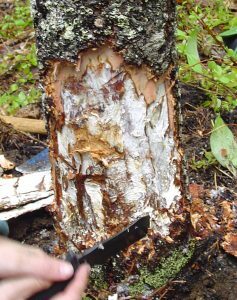 They had noticed that trees in the area were dying of a disease called shoestring root rot (because of the appearance of parts of its mycelium). The scientists analyzed DNA samples around the infected trees and realized that a single individual had caused the disease – on an area of 1232 socker fields. The fungus mainly infects conifers by invading their trunk and hijacking their transportation highways to divert nutrients to itself.